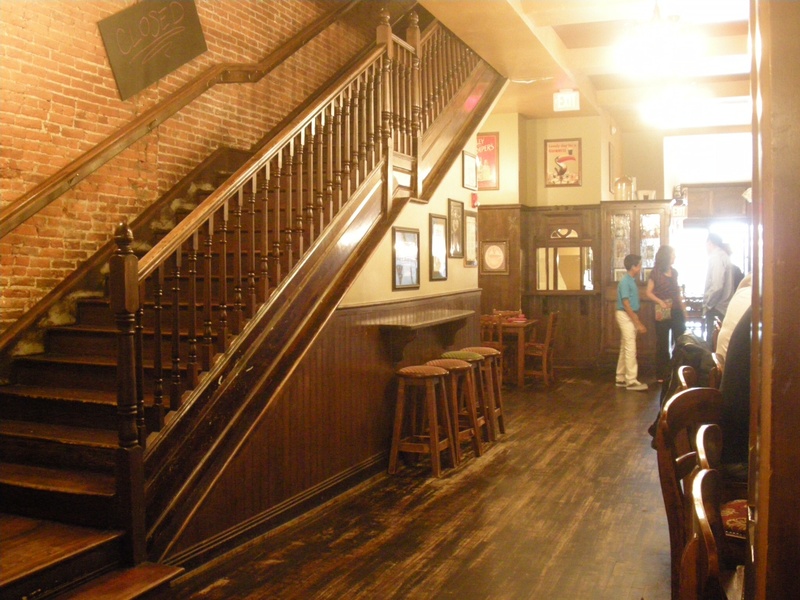 I swore that I would never go to an Irish or Irish-themed pub when I was in America. But this morning, for some reason, I as I walked up King Street in Lancaster, PA, I saw the national flag waving in the warm breeze outside Annie Bailey’s Pub. And, you know what? I suddenly felt homesick and found myself drawn towards the door of the pub. 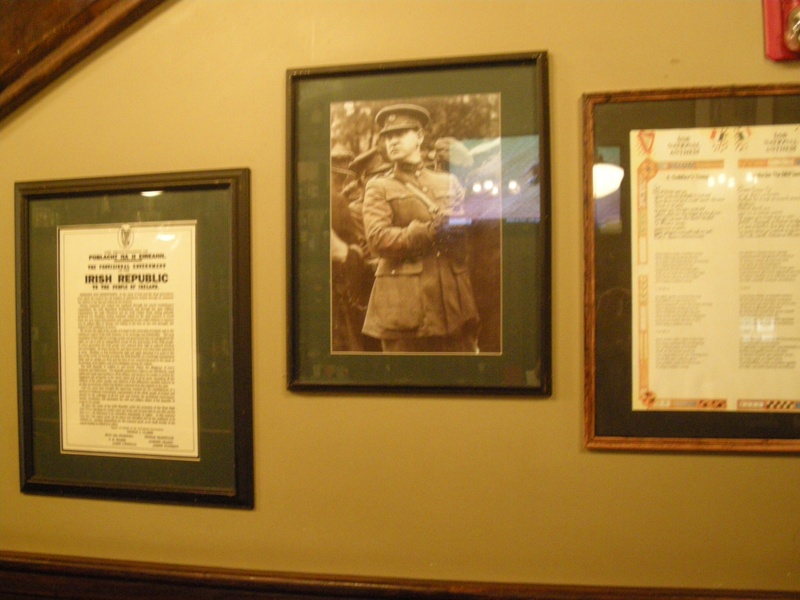 An Irish pub in Lancaster – I found I had to go in. And before you think all I wanted was a drink, then think again. 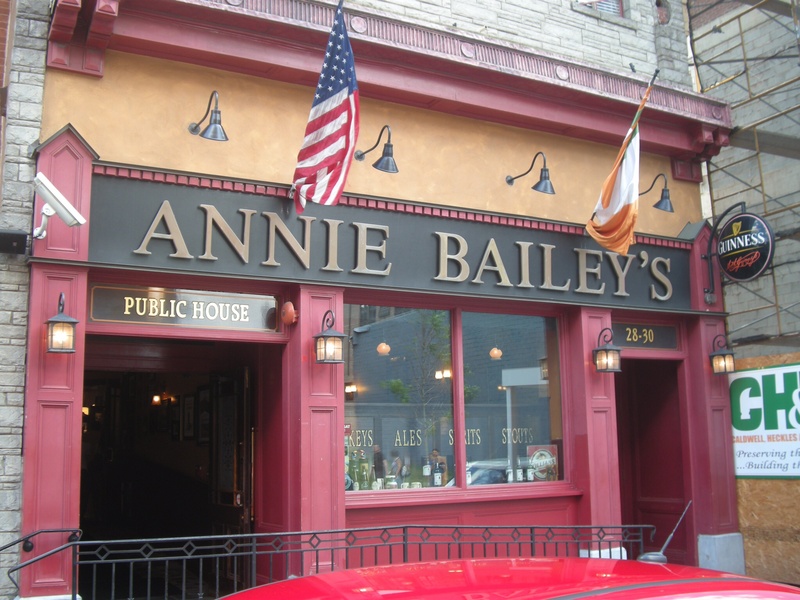 Well, yes, I did feel like having a ‘sharpener’, but that wasn’t the main reason I stepped into the somewhat familiar surroundings of Annie Bailey’s. What I expected was a faux Irish-themed pub complete with leprechauns, shamrocks and Aran sweaters. The first thing I noticed was that there was a complete lack of any traditional Irish music and no mention of ‘shillelaghs’ (an Irish club or walking stick). In fact, there wasn’t a shamrock to be seen. Even the ‘Big Fella’ is here. It’s amazing but it felt just like a pub back home: dark wood, vintage Guinness signs, copper jugs, earthenware jugs and the proud display of the Irish football and rugby jerseys. All that was missing was the comforting smell of a peat fire. 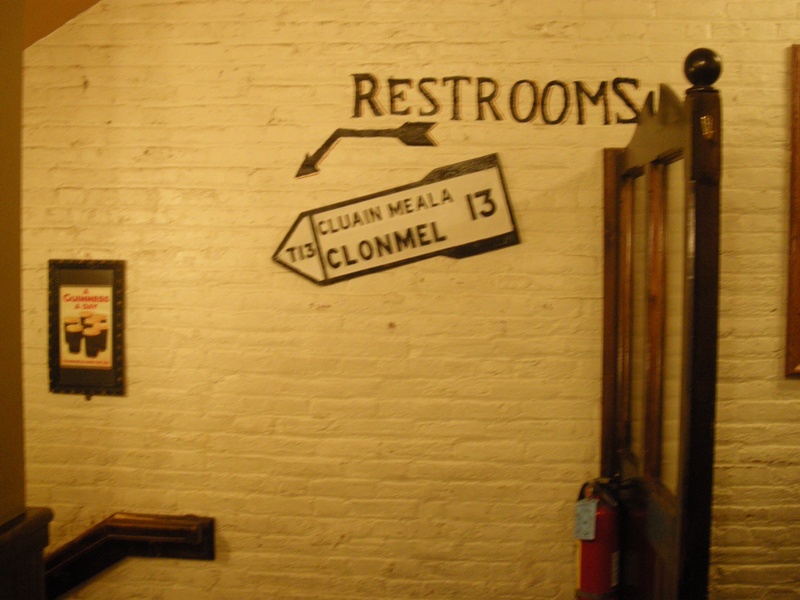 That, and the aroma that only a real Irish pub has … damp clothes and stale Guinness. Feels like home … sort of! They even had real pints! 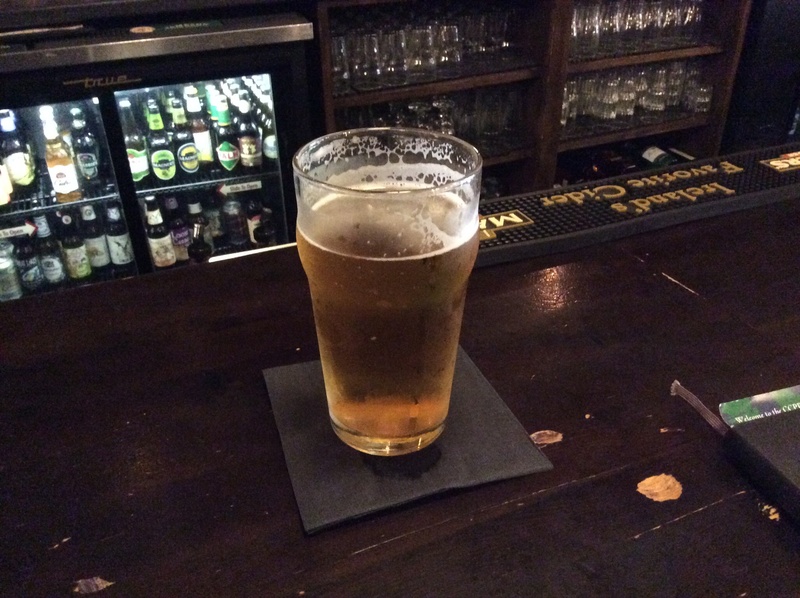 Yet as I sat there, at the bar, with a REAL pint of beer, it could have been a Sunday afternoon at home. However, I will soon be home and reports from the peninsula suggest that I had better prepare for temperatures in the mid to high 50s F and plenty of ‘soft’ weather. In other words, it’s going to be cold and wet.